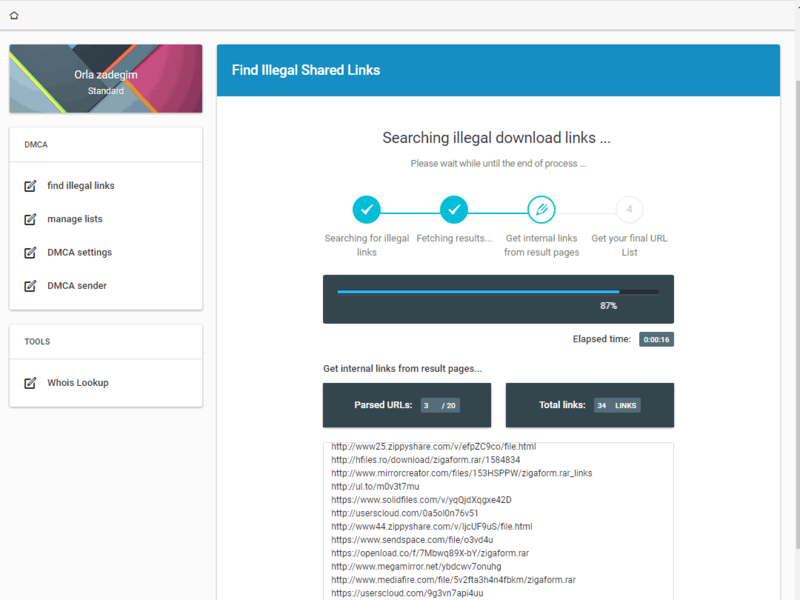 DMCA Takedown Notice Generator - A fast and effective solution for complete coverage against illegal software downloads. 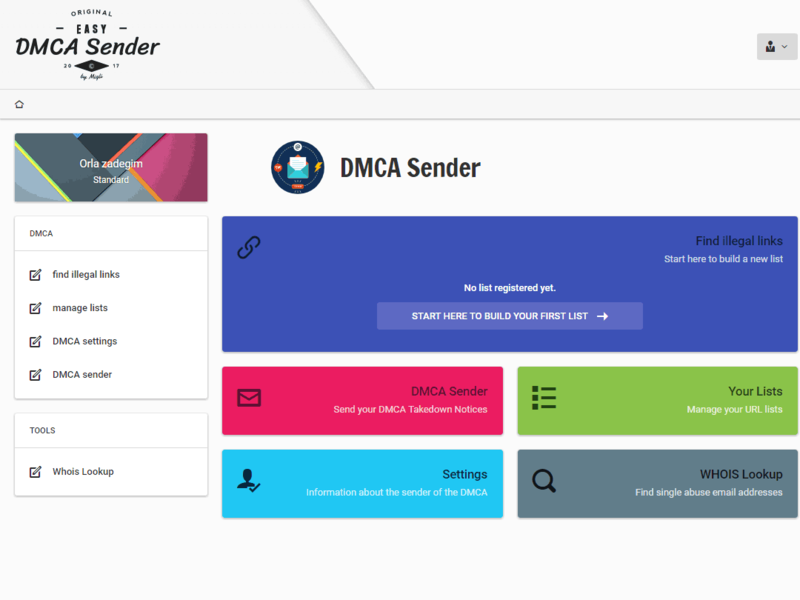 DMCA Sender (DMCA Takedown Notice Generator) is a Saas application (Software As A Service) whose main goal is to fight against the illegal sharing of software and products on the internet. This semi-automated procedure makes it possible and easy to get a large majority of illegal pages moved of the internet. Google quickly and systematically removes all these pages from search results. The results appear almost immediately, the main change being an increase in your sales. What is the "DIGITAL MILLENNIUM COPYRIGHT ACT"? DMCA is an American law that helps to fight against illegal sharing of software, themes, plugins,... etc. Is my software / product illegally shared on the internet? The amount of software, applications and products shared on the internet goes beyond your imagination. The shame is that developers and software authors frequently do not know that their product is available for illegal download. 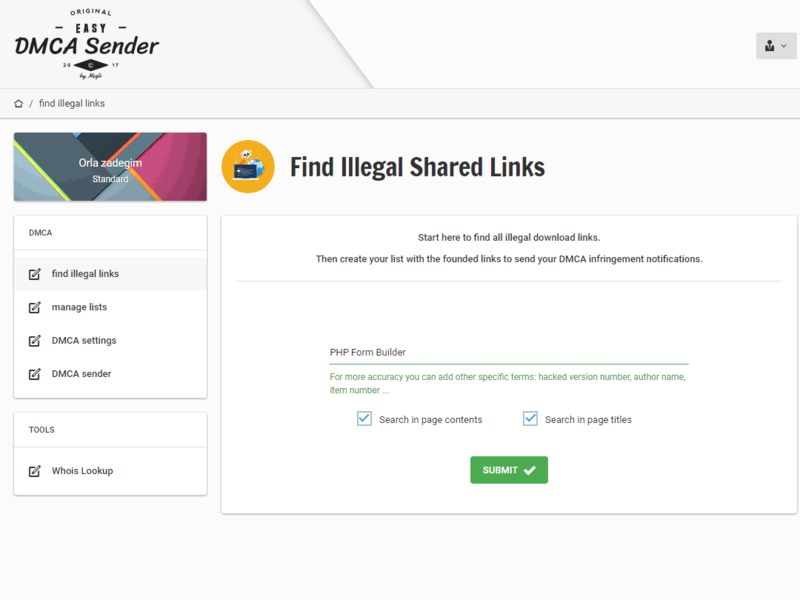 The first thing to do is to run a search using our "Find illegal shared links" tool. Enter the name of your product and validate. The results will appear instantly. Any author whose software, application or plugin is on sale on the internet. Software authors, plugins, etc. whose achievements are sold online in a general way. Admin Dashboard's Home page. Build a list or access the DMCA tools from here. 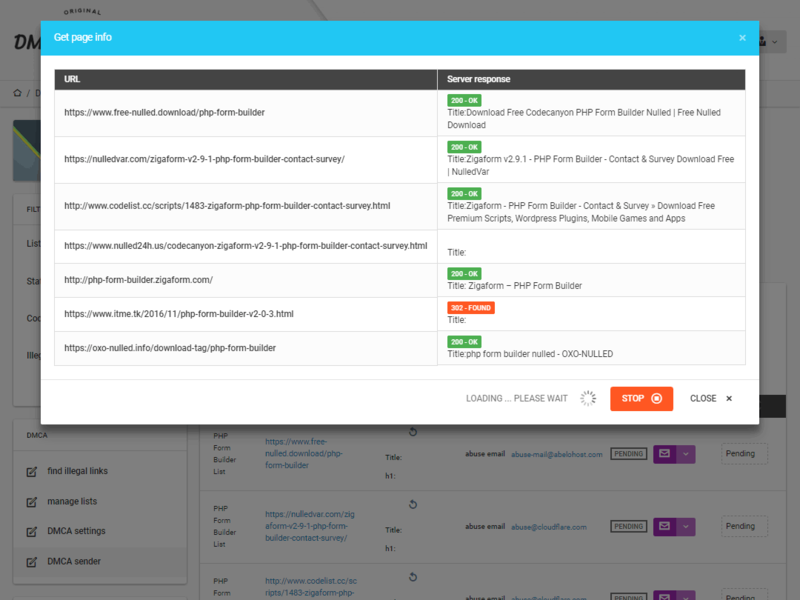 Enter your search terms here to find all the available unauthorized download links. 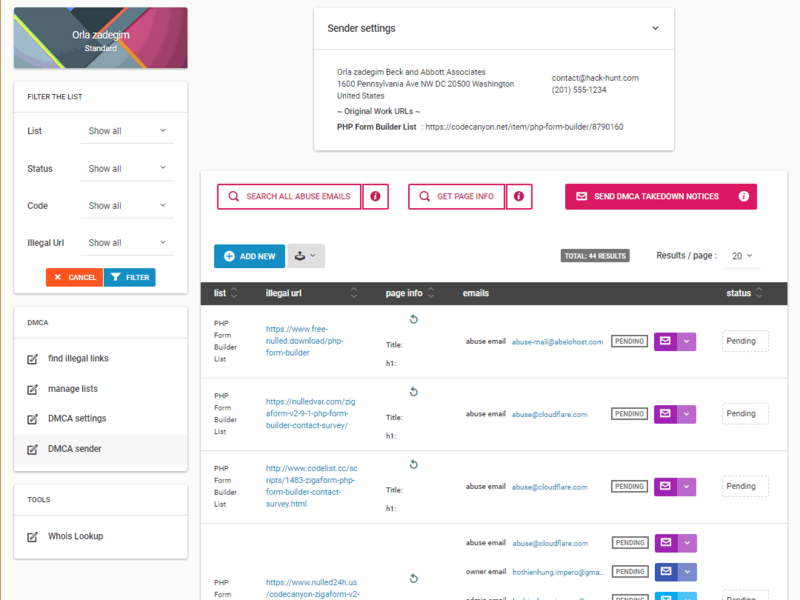 The Link Finder searching for available illegal pages matching your search terms. 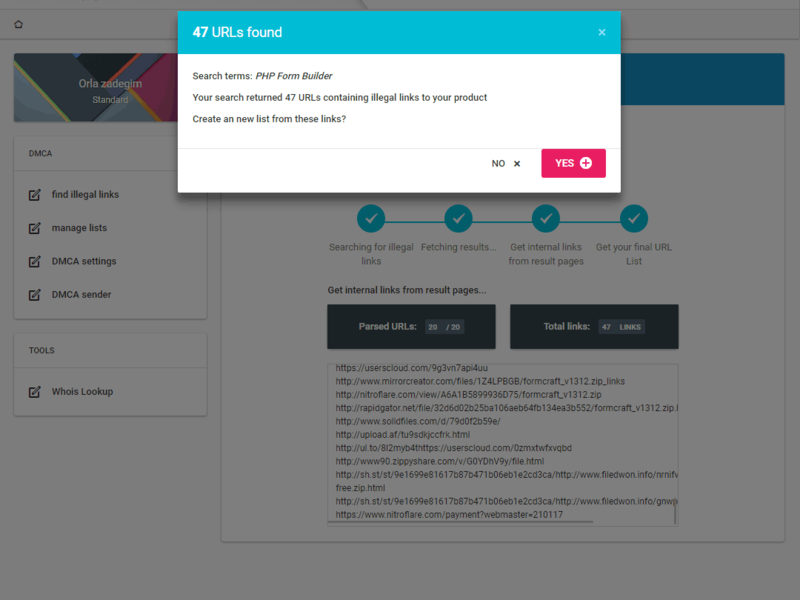 The Link Finder shows the results and propose to build a new list from these. DMCA Sender Main Page. This is the place to send your DMCA Takedown Notices. Global search for Abuse Emails. 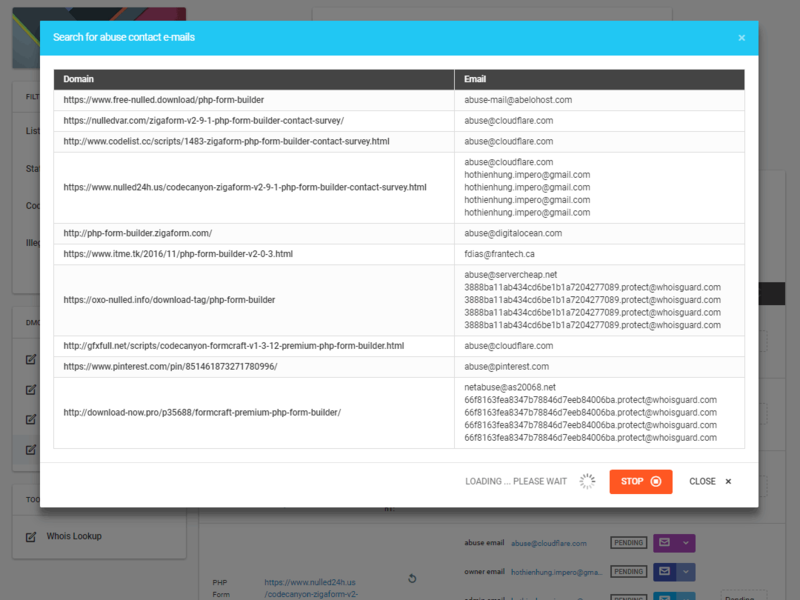 You can launch a specific search on each URL too. 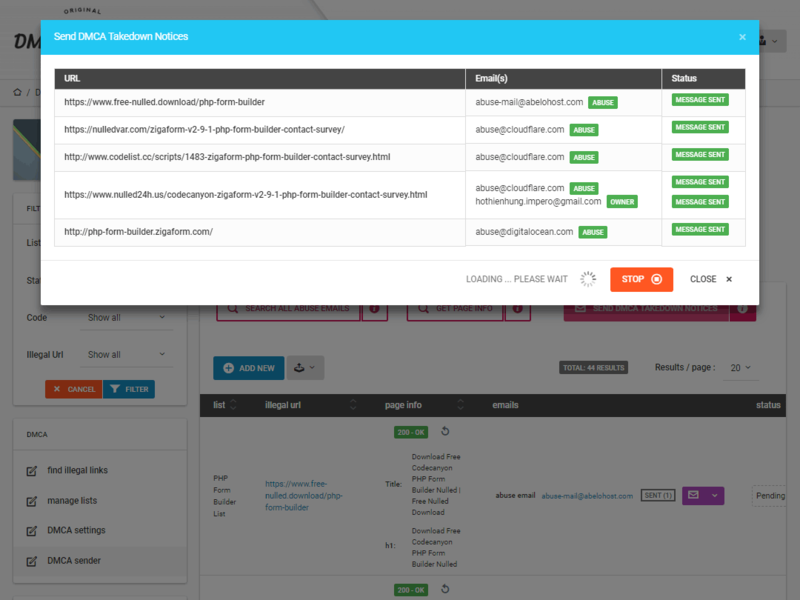 Analyse each URL to see if it's still online, and get page information. You can analyse each URL individually too. Send your DMCA Takedown Notices from the server or open the emails with your own client email.